He's already got a famous name and now Felix Götze is determined to back it up on the pitch after his summer move from Bayern Munich to Augsburg. The younger brother of Borussia Dortmund star and 2014 FIFA World Cup winner Mario Götze, the 20-year-old completed his transfer to the Fuggerstädter in early June, and such is his desire to finally break through as a professional that he took up pre-season training several days ahead of the first team's official start on Sunday. "There was just a small group of us," he said. "I've been very warmly welcomed and there's a real family feel here." Just like his older sibling, Felix came through the Dortmund academy but joined Mario at Bayern in 2014. Initially a member of the youth sides, he trained with first team last year and was included in the matchday squad on four occasions, albeit without making his Bundesliga debut. "Obviously it's hard there because the players have so much quality," he said. "Bayern are one of the biggest clubs around." Hence the short move west to Augsburg. "I know what the level of training is like at Bayern," Götze said. "But the opportunities are good here [at Augsburg]. Just look at how many young players were fielded last season. I view that as a chance to establish myself and to get a foothold. I want to make the step up to the first team, which is why I came here." Indeed, head coach Manuel Baum was not shy about giving youngsters a chance. 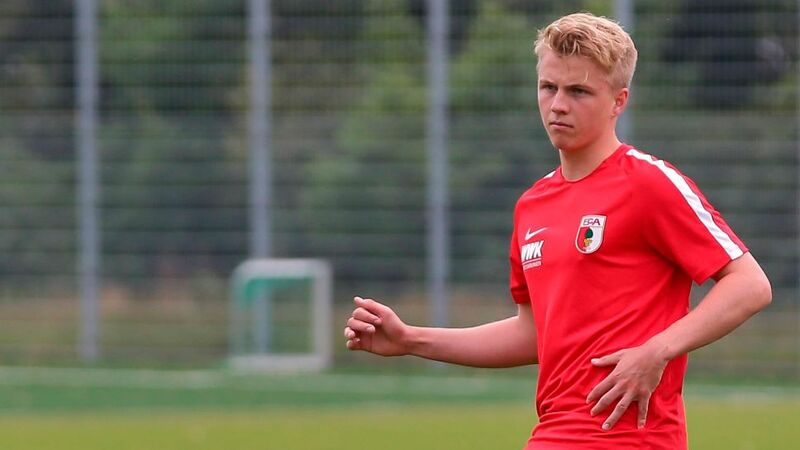 Kevin Danso (19), Sergio Cordova (20) and Marco Richter (20) all featured regularly throughout the season, while Kilian Jakob (20) and Simon Asta (17) were given a first taste of Bundesliga football. Augsburg are evidently also confident in Götze's ability to do so, handing him a four-year contract at the WWK Arena. "We're delighted to welcome a young, talented player in Felix," said sporting director Stefan Reuter. "He's very eager to learn and has a very good footballing education behind him so we have faith that he can take the next step as a professional here." A defensive-minded player by trade, Götze is at his best at centre-back or in a holding midfield role, saying, "I can make better use of my qualities when I play in the middle. I want to learn as much as possible, both on and off the pitch. If I'm given a chance I'll do everything I can to make the most of it."